Road trips are a beloved family tradition. If you are looking for a place to head on your next family road trip, we have you covered. From the Oregon Coast, to sunny California, the west coast has plenty to offer. With so many options, it can be hard to decide where to go. 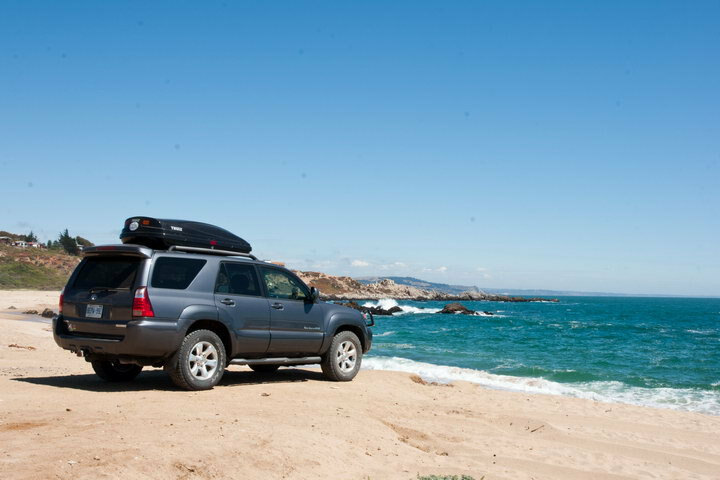 We have all the information you need to choose the best west coast road trip destination for your family. Disclosure: This post may contain affiliate links. If you click through and buy, TravelingMom will get a commission. 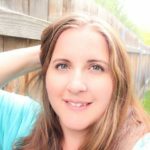 Thanks for helping support TravelingMom. My family just returned from an epic family road trip. We traveled for nearly three weeks along Highway 101, checking out the West Coast from Seattle to San Diego. It was a bucket list road trip my husband and I talked about taking for more than a decade. We decided it was time to take this adventure. When planning this vacation, we knew we wanted to hit up all the popular tourist spots, as well as some lesser-known destinations. Some of them were a bust, but we found a lot of great west coast road trip locations. Whether you’re looking for adventure, relaxation, or the hustle and bustle of the city, the West Coast has something for every family. My family fell in love with almost every destination we visited during our epic west coast road trip. From city life to beaches, forests to dude ranches (yes a dude ranch on the west coast), we loved it all. 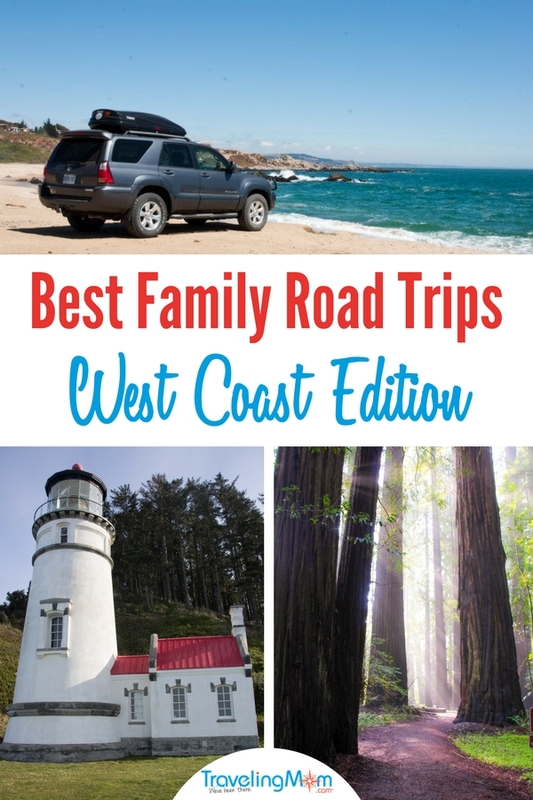 But here are my top picks for those looking to take a family road trip to the West Coast. The Oregon Coast is a great destination for a West Coast road trip, but you definitely need to know what you are in for. The Oregon Coast is usually cool and overcast. You won’t be working on your tan and wearing a bikini on the beach most of the year. August and September tend to be a little bit warmer, but still quite cool. It is also windy. So bring your kites as kite flying is a popular activity on the Oregon Coast. You will want to dress in layers and bring your rain jackets and/or windbreakers. 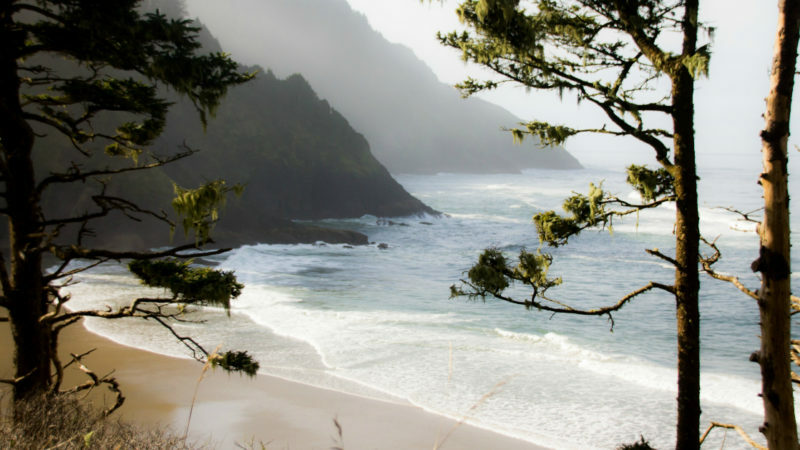 Here are our picks for the best Oregon Coast locations. Seaside, OR is great for a real beachy feel, nice and touristy. Canon Beach is a popular spot as well. Tillamook is great if you want the beach experience and some yummy cheese. But my ultimate favorite Oregon Coast destination is Newport, Oregon. 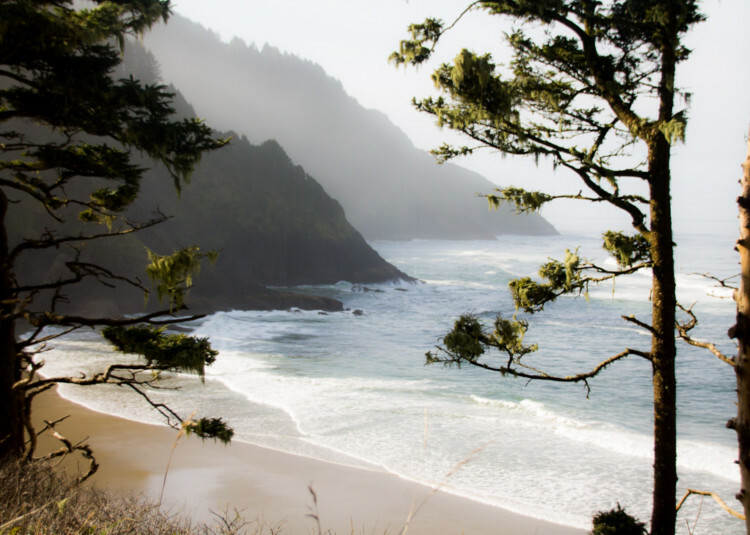 Why would I choose Newport, Oregon for my West Coast Road Trip? We absolutely loved everything about Newport, Oregon, during our visit. For starters, they still offered major grocery stores, so we were able to pick up some food. We stayed just south of Newport in a cabin, where we were able to cook. Since we weren’t sure exactly what would be in our cabin before we arrived, it was nice to be able to get to a major grocery store (there were a few) to do some shopping. Some other towns you end up having to drive 30 minutes or more to get to a major grocery store. What to do in Newport, Oregon? I think my favorite thing about Newport is the amount of stuff there is to do. Newport is home to the Oregon Coast Aquarium. The aquarium is great for families with young children. They have touch pools, animal feeding times, and lots of great activities. You can expect to spend at least 2 hours at the aquarium. A lot of the aquarium is outdoors, so you will want to dress in layers. The price of the Oregon Coast Aquarium can be quite costly, so I actually suggest checking out the Hatfield Marine Center. It is free, but donations are suggested. Even with a donation, an entire family can enjoy the marine center for $20. Other free activities in or around Newport include visiting the Yaquina Bay Lighthouse, Yaquina Beach, checking out the trails south of Newport, biking trails, and so much more. If you want to do something really touristy, I would head south a bit one day and check out the Sea Lion Caves. 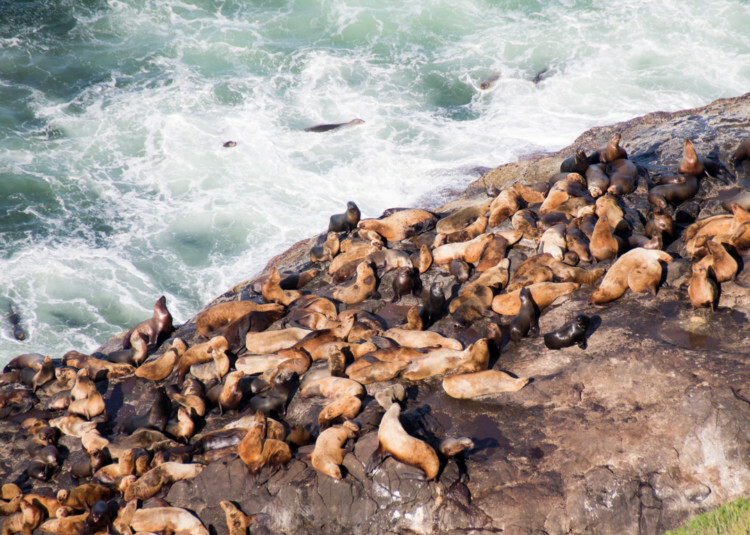 There are hundreds of sea lions along the shores and in the caves here, but you will pay a pretty penny to get to see them. My family of three (because my twins were free) paid almost $40 for our visit. The visit was only about one hour, but with two three-year-olds, a lot of that was because they weren’t patient enough to let us look at all the cool displays. While down that way, I would also suggest a stop at Heteca Head Lightouse and the beach there. The Lighthouse is about a half mile hike up the mountain (but an easy one). When you get to the lighthouse, the view is totally worth the hike up and back down. If your family is active and loves nature, then the West Coast will not disappoint. 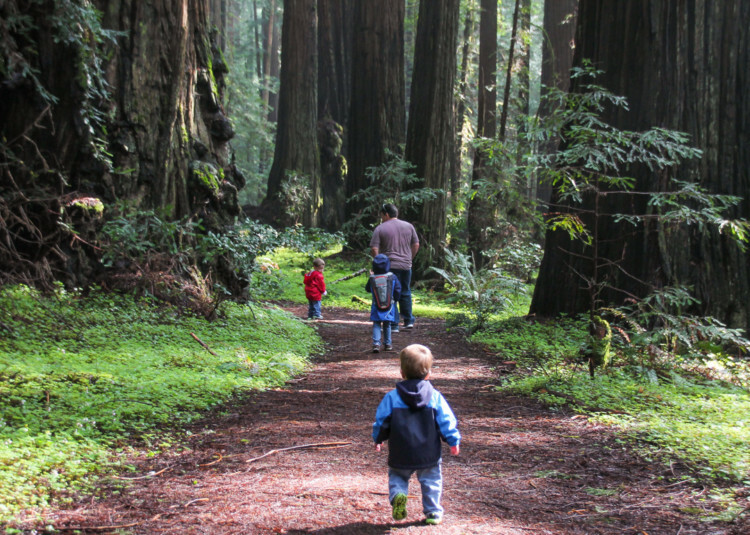 There are plenty of adventures for families on the west coast from surfing to biking, and even hiking among giants! By far, one of our favorite parts of Seattle to San Diego was hiking in the Redwoods. This wasn’t our first visit, as we spent some time in the Redwoods last year, but we still found so many new and exciting places to explore. 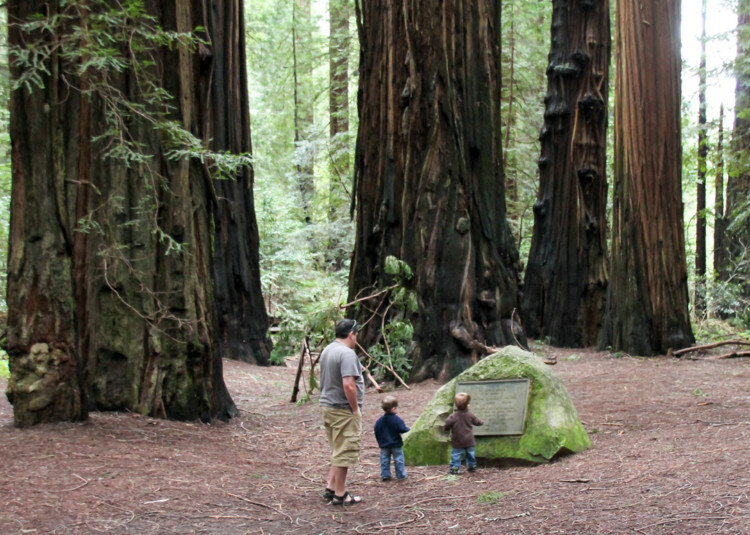 Planning to visit the Redwoods can be a bit overwhelming. There are numerous parks and trails to explore, and you also need to figure out where to stay. Don’t worry, I’ve got you covered! When choosing where to stay when visiting the Redwoods, you will first want to figure out which parks and hikes are most important to you. I personally love the Humboldt County Redwoods. So my family often chooses to stay in Eureka while visiting this area – plus it is so fun to say! However, if you want to visit the more northern parks, Crescent City, California is also beautiful. Both cities are right on the coast and will require a little driving to get to the trails, but we have loved being able to explore the forests and then enjoy the beaches. One of my favorite parts of the Redwoods is doing the trails. There are trails for all skill levels and endurance. From flat half mile trails perfect for toddlers to run on, to more challenging all day trails. Trails are usually well groomed and clearly marked. If you want to do something touristy, I suggest checking out Trees of Mystery just south of Crescent City in Klamath, California. It has a groomed trail up to a lookout where you can see the Redwoods meet the coast line. Most people know it for the giant Paul Bunyan Statue in the parking lot. The largest, most majestic trees are located along the Avenue of the Giants. This scenic drive along the old Highway 101 is located south of Eureka, and well worth the detour off the main highway. The weather in the Redwoods can be quite cool and often includes some light rain or mist. I definitely suggest packing waterproof hiking boots if possible, and don’t forget the rain jackets. I also suggest dressing in layers because the afternoons can get quite nice, and all that movement may warm your body up pretty well. If you ever choose to do a Highway 101 road trip, I suggest cutting over to Highway 1 south of San Francisco. Here you will find some of the most gorgeous views of the coast. If you are wanting to make a vacation of the area, I suggest staying in Monterey. There is no shortage of activities in Monterey. If you are a Disney Pixar fan, you will want to check out the Monterey Bay Aquarium. Rumor has it that the aquarium in Finding Dory was inspired by this family friendly attraction. For a family like mine that enjoys hiking, there are several trails to check out. Pinnacle National Park offers trails for all skill levels. Two popular trails are the Balconies Cliffs Trail and the Bear Gulch Trail. The time for these trails runs between two and four hours. Both trails offer amazing views and geological surroundings. You will want to bring a flashlight for both of these hikes. 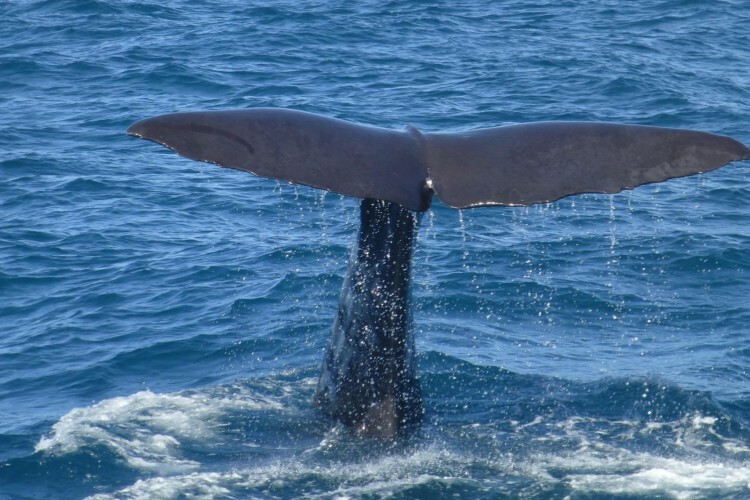 Of course, one of my bucket list activities is to go on a whale watching excursion along the central coast of California. I have to figure out a way to get over my motion sickness and talk myself into doing this activity. I seriously considered it this year, but when it turned out one of the twins has motion sickness as well, I decided to pass. Of course, our West Coast road trip would not have been complete without including a theme park visit. Specifically, for us, that meant a trip to Disneyland. If you are wanting to hit up some theme parks, Southern California is the place to be! 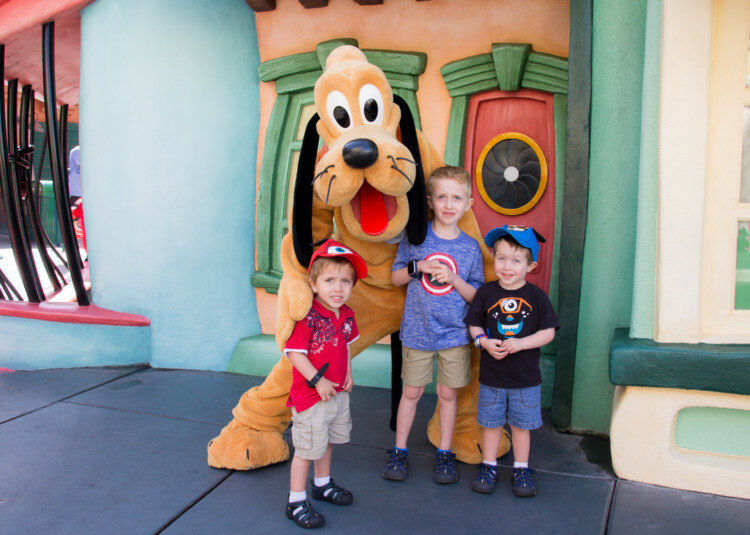 And if you’re a Disneyland First timer, then check out this Susie Kellogg, Unstoppable TraveingMom’s Disneyland Tips For First Time Visitors. If you are heading to Southern California, you will have a lot to choose from. I have a hard time narrowing down what to do each visit, but here are some of my favorites. Of course, my number one suggestion is Disneyland. It is my family’s home away from home. Disneyland is the perfect theme park for families with members of all ages. I was really excited to go this time because my twin toddlers finally were old enough to really understand where we were going. They had a blast at Disneyland meeting their favorite characters and riding rides. 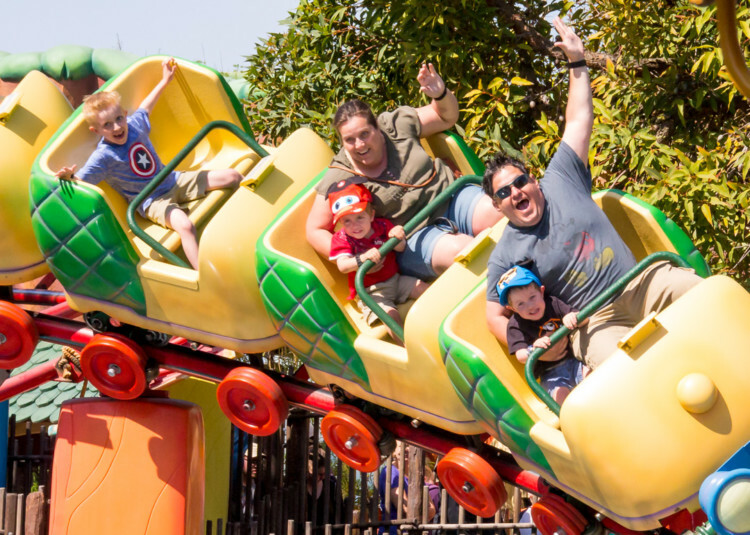 If your family loves thrill rides, and most of you are at least 48″ tall, Knott’s Berry Farm is a great choice. While they have rides for all ages, my family has personally found the little kid area called Camp Snoopy a bit lacking. However, when we travel with tweens and teens, we love taking them to Knott’s Berry Farm to hit the roller coasters. In the summer, check out Knott’s Soak City, a water park across the street from the theme park. 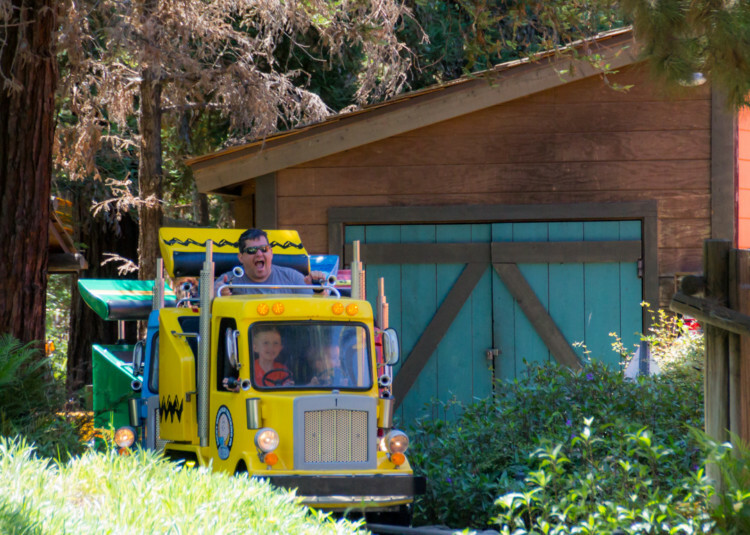 For families with limited vacation days, here’s how to do Knott’s Berry Farm in one day and for our Spanish-speaking readers, Guía Completa para Visitar Knott’s Berry Farm. If you have any preschool to young elementary age kids, LEGOLAND is a great choice. My kids are huge LEGO and Duplo lovers, so they are always in awe of everything that is made of LEGOS throughout the park. LEGOLAND also has a water park. You will want at least one day for the LEGOLAND theme park and one day for the water park. If you are a Potterhead, you will want to head to Universal Studios Hollywood to check out the Wizarding World of Harry Potter. This park is best for older kids, as rides are limited for younger visitors. Even if you aren’t a ride junkie, but love Harry Potter, it may be worth a visit to see this magically themed land. Taking young kids? Here are the best attractions for young kids at Universal Studios Hollywood. If you plan on visiting any of the theme parks listed above, I suggest you book through our partners at Get Away Today. They not only offer discounted tickets to theme parks, but can book you packages with discount hotel deals (like 3rd or 4th night free). I love the sandy beaches of Southern California. Even when our vacation is focused on visiting theme parks, we take at least one or two days to visit some local beaches. One of my favorite things to do is to drive the Pacific Coast Highway and just stop at whatever beach catches our eye. That said, there are a couple beaches we definitely prefer. Huntington Beach is large, has lots of great activities and rental shops, but the parking is quite expensive ($15 last visit). It also feels like it takes forever to walk across the loose sand to the ocean. 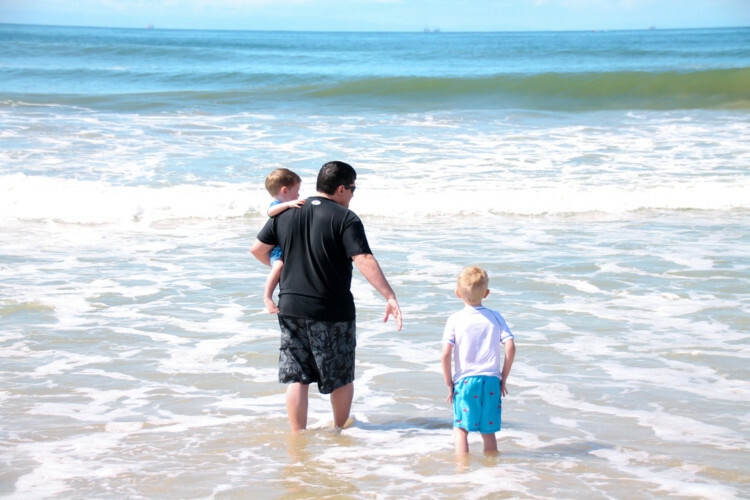 Our absolute favorite beach has become Seal Beach. There are fewer crowds and the parking is very affordable (starting at $3). We also tend to find that we can get a close parking spot whenever we visit. If you want a unique dining experience, check out the great dining options in Buena Park, California. On top of hot dining options like Rock & Brews, you can also dine at the popular Medieval Times or Pirates Dinner Adventure. Both are near Knott’s Berry Farm, and a short drive from the Disneyland Resort. Hopefully one of these West Coast Road Trip locations spoke to you. If you ever get the chance, definitely take a trip down the entire coast, from Seattle to San Diego, but until then, check out one of these locations to fulfill your travel needs. What Are the Best Road Trip Snacks for Toddlers? Becca Robins is always looking for the next adventure to share with her family, which includes a seven-year-old son and twin two-year-old boys. Becca loves to plan adventures around the Pacific Northwest and California. While her family's favorite destination is anywhere Disney related, they also have a goal of visiting all 50 states. When not traveling, she is busy exploring her great state of Idaho with her husband and kids to make memories that they will remember for years to come. Becca writes at This Crazy Adventure Called Life.